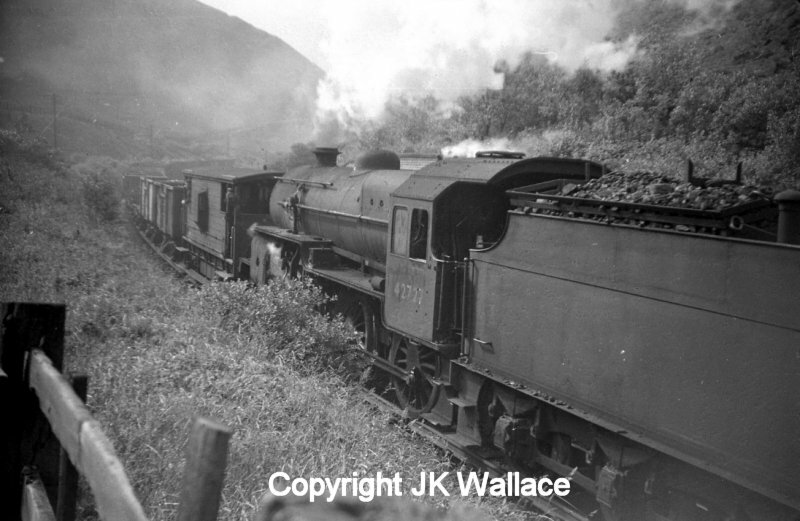 In the early 1950s and 60s the WD Austerity 2-8-0s were deployed on the Central Division of the London Midland Region, replacing the LMS Derby-built 0-8-0 G3 'Austin 7s'. 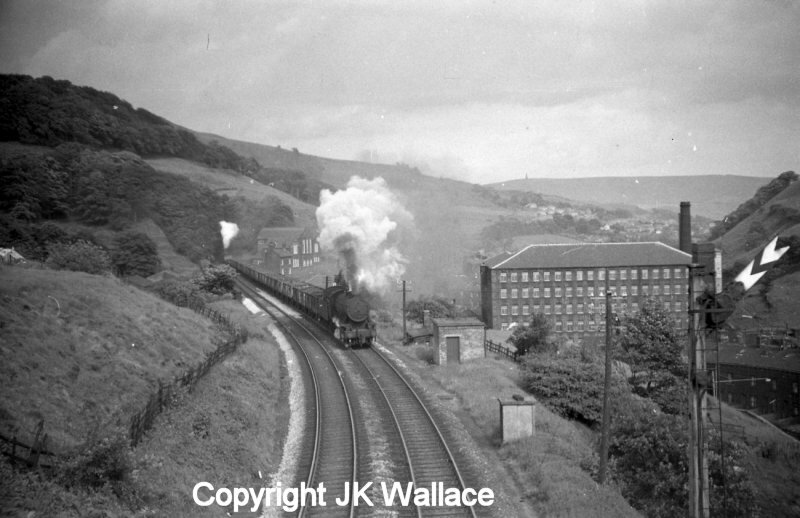 They were dominant on the Healey Mills - Rose Grove minerals and freights, with Crabs providing the banking. 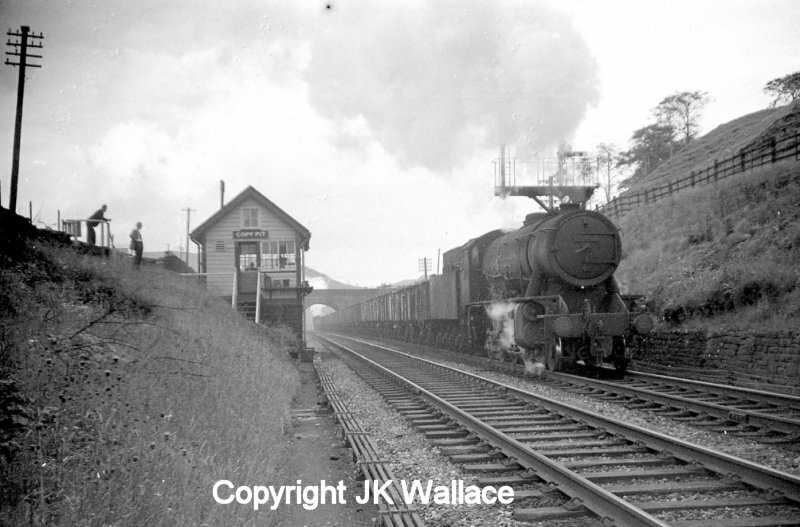 From the mid-60s onwards, Stanier 8Fs took over both the haulage and the banking. 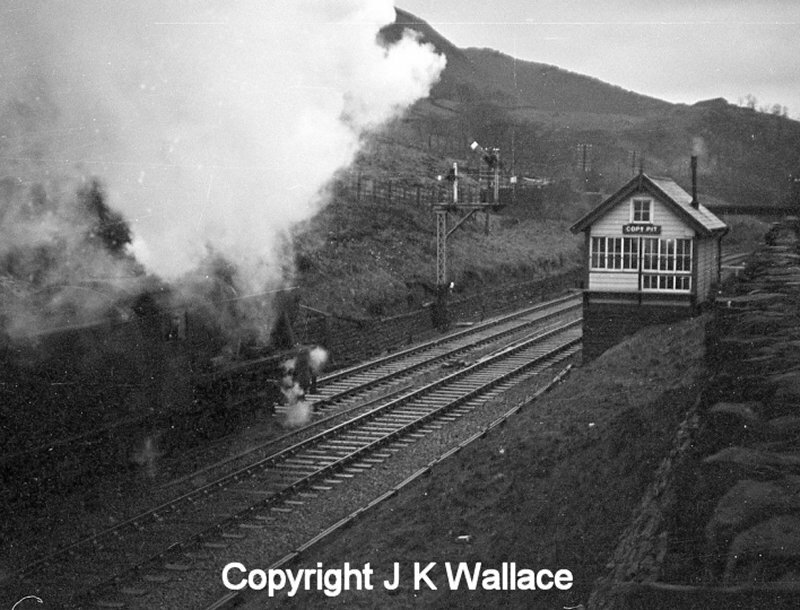 This sequence records WD 90412 and Crab 42727 working a mixed freight, and starts when the pair emerge from Kitson Wood Tunnel and cross Lydgate viaduct. The photos are taken from Knotts Road bridge. 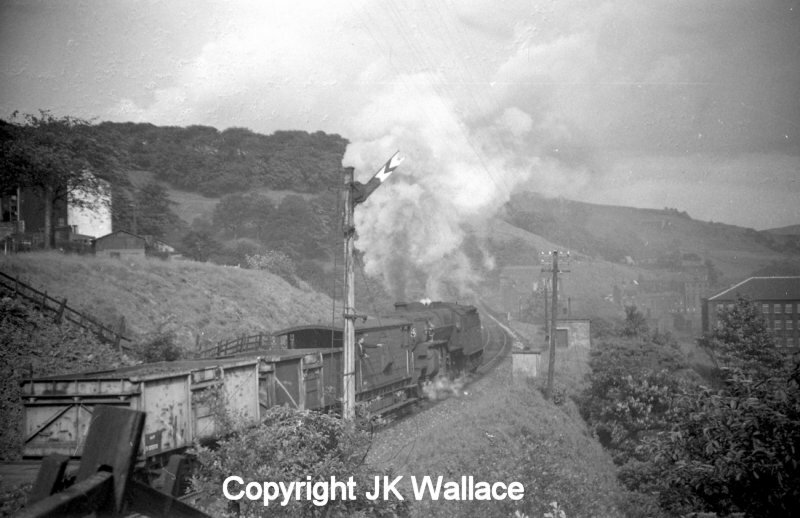 Here is the view from the cab as a Copy Pit-bound mineral train passes over Lydgate Viaduct with the banker adding to the general gloom as it erupts from Kitson Tunnel. 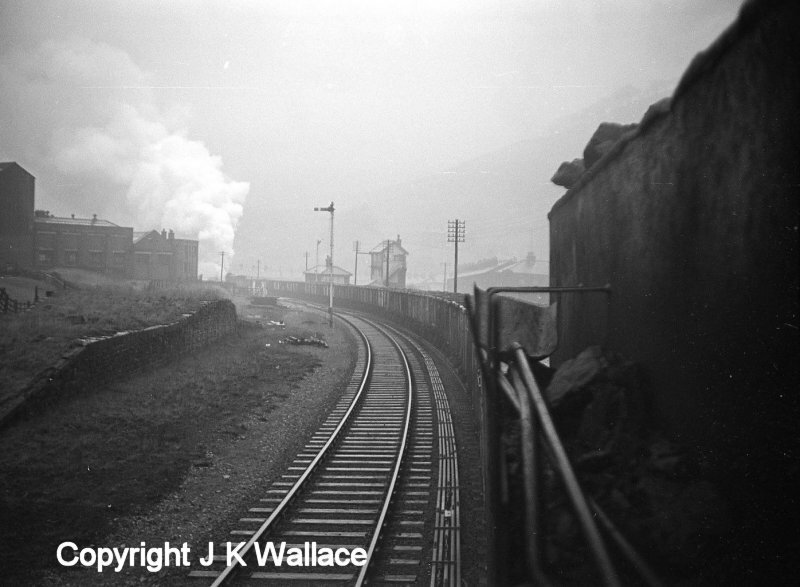 This photo captures the drama of steam operation that made Copy Pit such a magnet for photographers. The second view was taken as the same train passed through Portsmouth Station. 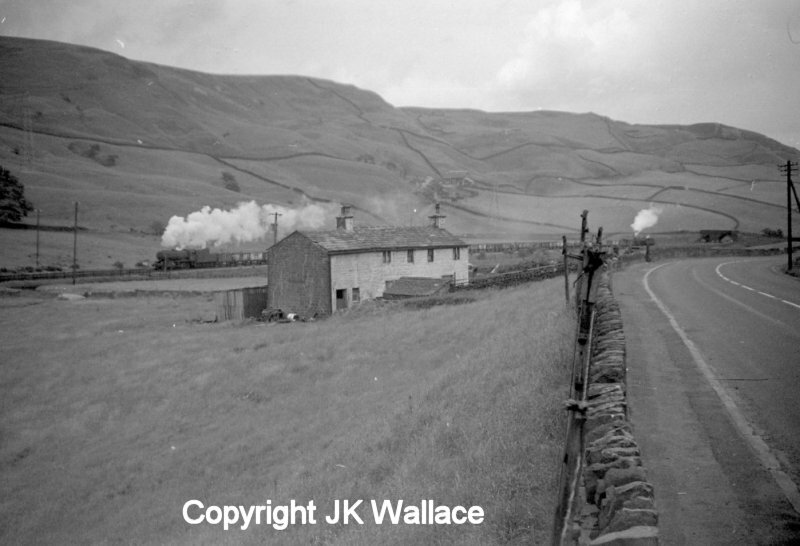 The pair are next seen flogging past Ratten Clough Cottage - a view which is more difficult today as trees now screen the cottage. Finally the train arrives at Copy Pit. The train is signalled straight through on the main and is not to be recessed in the loop. 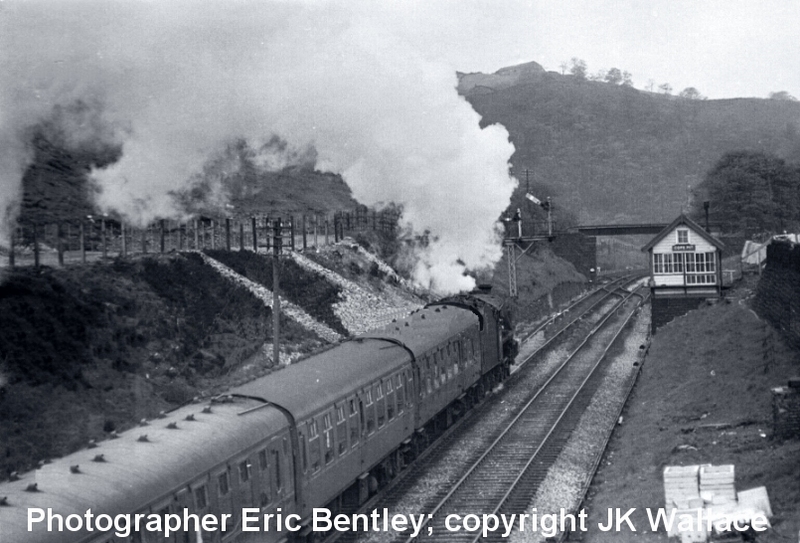 It is difficult to tell from the photograph whether the train has a fitted head, and it may be the case that brakes will need to be pinned down for the descent to Rose Grove. 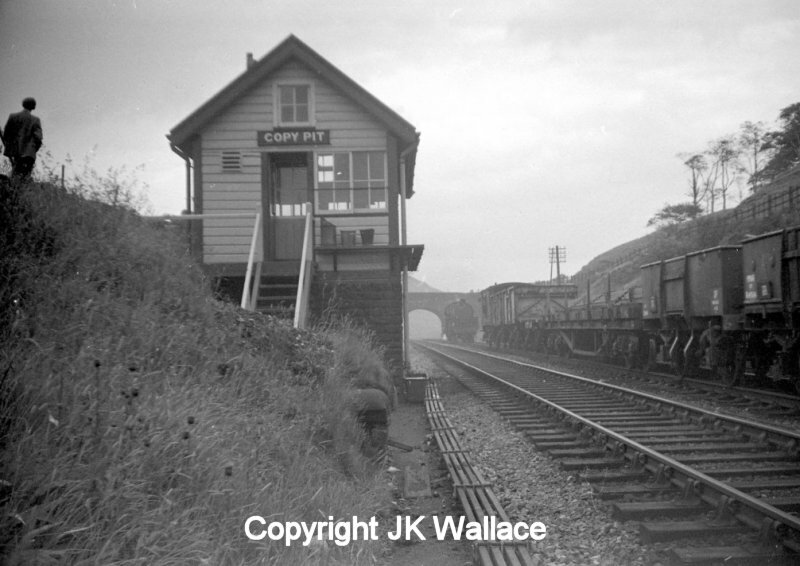 1X18 Bradford Exchange – Blackpool North excursion approaching Copy Pit at 10.38 on Monday 29 May 1967. 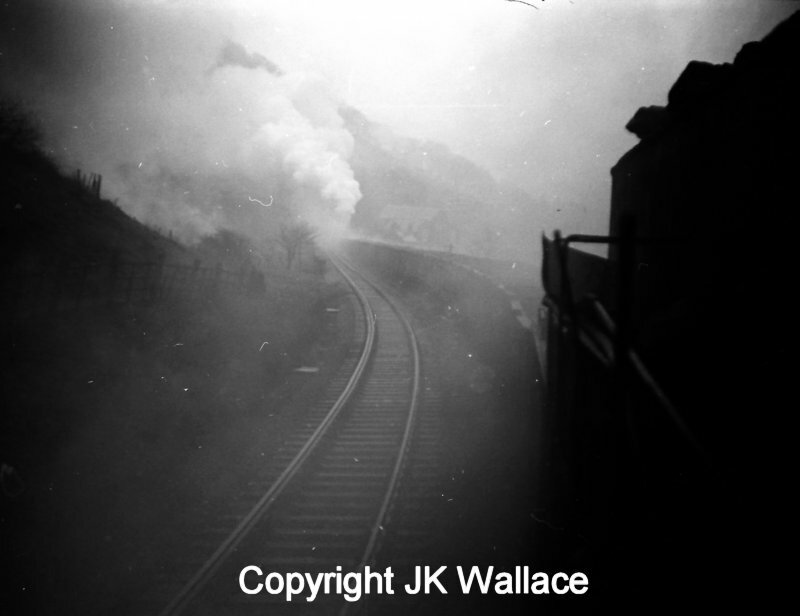 A Stanier 8F 2-8-0 passes Copy Pit box with a loaded mineral working. Finally, the train keeps moving but Crab 42727 has already dropped behind, and will shortly be crossed onto the other line so it can return to Stansfield Hall.